» Marmot Never Summer Sleeping Bag Review: Yay or Nay? Find Out Here! 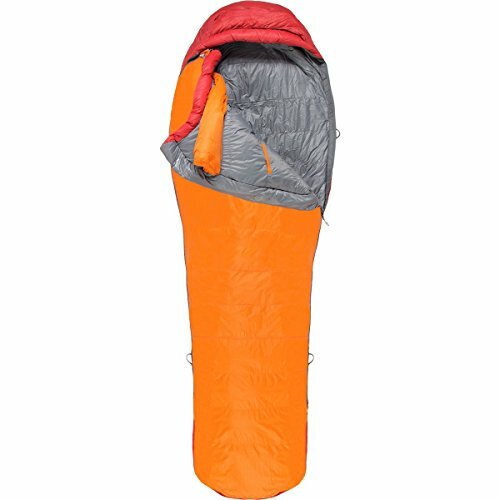 Marmot Never Summer Sleeping Bag Review: Yay or Nay? Find Out Here! If you’re planning on spending any time in the backcountry in cooler weather, you’re probably aware of the need for a sleeping bag. Ultralight quilts can serve as a suitable summer sleep solution, but when the snow starts falling and the winter winds pick up, you need something much warmer. In all likelihood, you need a zero degree bag like the Marmot Never Summer. When looking at zero degree bags, the first thing to understand is what “zero degree” actually means. If you’re just reading marketing materials, the term “zero degree” could mean almost anything, because there are no mandatory standards or regulations for how sleeping bags are described in the United States. These days, however, most bags (or the reputable retailers selling them) will have what is called EN 13537 ratings (EN ratings for short). These are standardized ratings that make it possible for you to compare one bag’s warmth to another much more easily. There are three kinds of EN ratings, each measured in temperature: comfort, lower limit, and extreme. A bag’s comfort rating is the temperature at which it will keep the average woman warm. 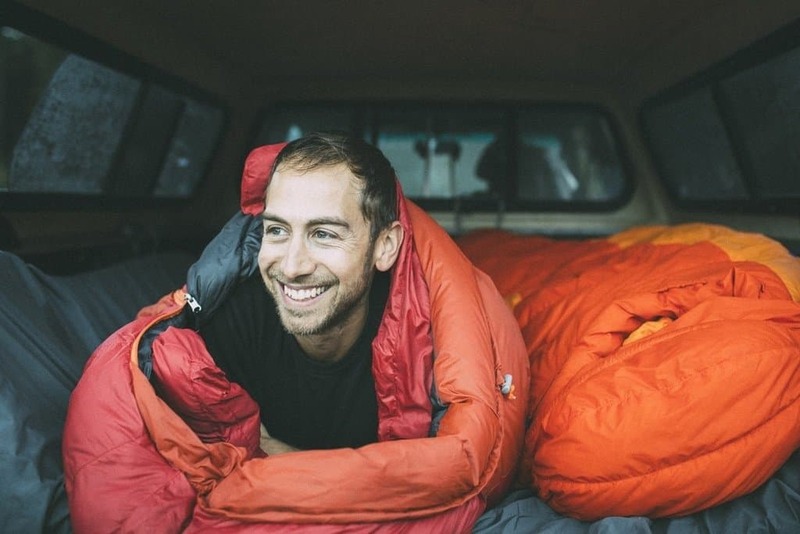 The lower limit rating is the temperature it will keep the average man warm, provided he’s wearing a base layer and sleeping on a one-inch sleeping pad. The extreme rating is the coldest temperature you can survive in the bag without freezing to death, but you will not be comfortable at this level. Needless to say, the lower the EN ratings, the warmer the bag, and not all “zero degree” bags are created equal. The Marmot Never Summer, for example, has a lower limit EN rating of -1.2 degrees Fahrenheit. 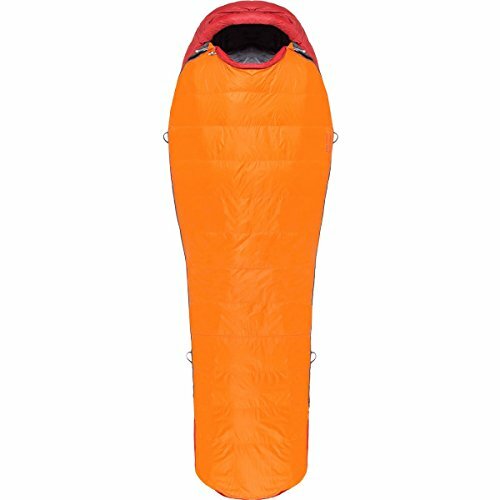 The Kelty Cosmic Down 0 has a lower limit EN rating of 5 degrees Fahrenheit. Both are marketed as “zero degree” bags, but the Never Summer is actually six degrees warmer! At least, six degrees warmer in standardized testing conditions. 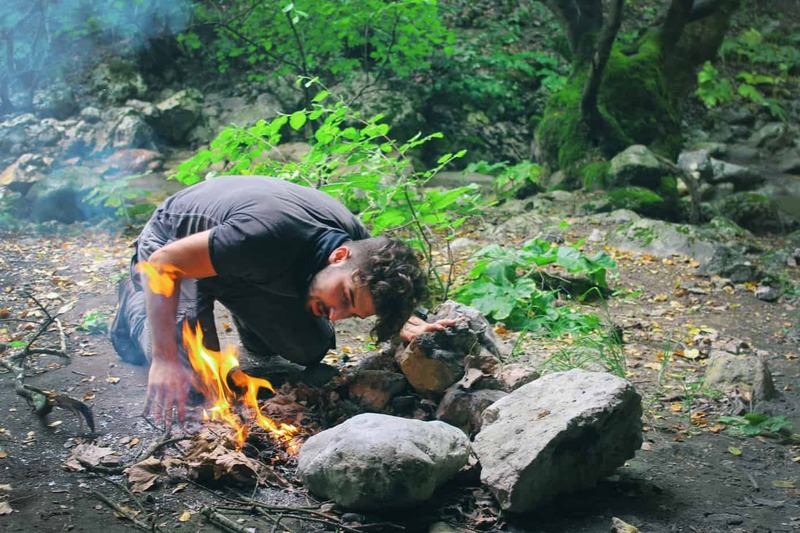 The other important thing to understand about sleeping bag ratings is that everybody sleeps differently, and there’s more to feeling “cold” than just the ambient temperature. Winds, your sleeping pad, the humidity level, the bag’s fit, and your own body (some people tend to sleep warmer than others) all will affect how warm you feel, so even a lower limit EN rating of zero degrees doesn’t guarantee you’ll be comfortable on every zero degree night. In fact, unless conditions are perfect (no winds, no humidity) it’s unlikely that you’ll be comfortable in most zero degree bags on a zero degree night unless you add a layer or two. The other major choice with sleeping bags is whether to go with a down bag or synthetic. The trade-off here is pretty simple: down bags are lighter and more compressible, but they’re pretty much useless when they’re wet. Synthetic bags are heavier and bulkier, but they maintain their insulating properties even when wet. Synthetic bags also tend to be cheaper than down bags. If you live in a wet climate, you may want a synthetic bag, but if you live anywhere where your gear isn’t usually soaked in winter, a down bag will be lighter, smaller, and just as warm. Typically, it would also cost a bit more, but that’s what makes the Marmot Never Summer such an attractive option: it’s a down bag that you can get at a synthetic bag price point. Like all cold-weather sleeping bags, the Never Summer is a mummy bag, which means that it’s cut to roughly the shape of a human body, including a hood that goes over your head and can be tightened to minimize skin exposure. To get the full benefits of the bag’s warmth, you’ll have to have it fully zipped up with the hood fully tightened around your head. If you’ve never done that before, you’ll quickly understand why these are called “mummy” bags – there’s not a lot of room for movement. But they’re designed like that for a reason: the Never Summer’s insulative properties are impressive. Bundle yourself up like that in summer and you’ll be sweating in seconds. In practice, this feature list might make the bag sound a little better than it is. The “Down Defender” treatment is nice, but make no mistake – it’s still down; this bag is not waterproof. And while the zipper may be snag resistant, I assure you that no sleeping bag has a zipper that’s truly snag free. As long as it has the basics, the feature list of a sleeping bag doesn’t matter much. What’s more important is how the bag performs in your pack and when it’s wrapped around you at night, and that comes down to three things: weight, size, and warmth. And the Marmot Never Summer performs well on all three counts, especially considering its price. The Never Summer weighs in at 3 pounds and 1 ounce in the regular length. That makes it a full pound lighter than most synthetic zero degree bags, and while there are lighter zero degree down bags, the weight difference isn’t that significant. The Western Mountaineering Kodiak, for example, is a high-end down bag that will save you 2 ounces (it weighs in a 2 pounds 15 ounces in a regular), but it also costs twice as much. Unless you’re really trying to shave weight, you probably won’t notice the difference when the bags are in your pack anyway. Speaking of packs, the Never Summer packs down impressively. Marmot claims it stuffs down to 16.8 liters (or 8.5 by 18 inches). The precise measurements will depend on how you stuff it, of course, but in my own experience, you can crank it down to a dense cylinder the approximate size of a basketball. Again, more expensive bags that use a higher fill-power down (many high-end bags are 800 or 900 fill compared to the Never Summer’s 650) will pack down slightly smaller, but the difference isn’t significant enough that you should worry about it unless your pack space is really at a premium. The Marmot Never Summer really shines, though, when you pull it out of the stuff sack and wrap it around your body. Paired with a good sleeping pad, it has kept me toasty in little more than my underwear, even in below-freezing temperatures and high winds. Even if you tend to sleep cold, I think the Never Summer is likely to keep you warm at zero degrees if you’re willing to add a layer or two. Put simply: this is a toasty bag. It’s a great choice for winter camping or shoulder-season trips in colder climates. If you’re looking at this for a summer retreat, though, you’re going to absolutely roast in it, so choose wisely. There are essentially two reasons the Never Summer costs so much less than many other zero-degree down bags. The first is the 650-fill down; more expensive bags use 800- or 900-fill down to get the same warmth with a little less weight and a little more compressibility. The other is durability. Some of the more expensive bags are also made with high-tech ripstop fabrics; the Never Summer has a basic nylon shell. If you tend to destroy your gear quickly, this might be an issue, but personally, I haven’t found it matters much. You’re not likely to damage the Never Summer when you’re sleeping in it, and when you’re not sleeping in it, chances are it’s going to be inside a stuff sack. If it drops on the trail or gets scratched inside your pack, it should be the stuff sack – not the bag itself – that’s taking the damage. If you really need a zero degree bag and you don’t want to spend a fortune, I think the Never Summer is one of the best options currently on the market. For long expeditions where every inch of space and every ounce of weight counts, you might want to splurge on a higher-end bag, but for most people, the Never Summer offers an excellent value proposition with its combination of warmth, compressibility, and weight.